The pumpkins are waiting on the stoop by dimly lit candles and the candy has been collected with sorting underway. In the wake of Halloween night, besides smiles and stomach aches, there’s a whole lot of trash left behind. Trash can come in the form of wilting pumpkins, candy wrappers and used up decorations. 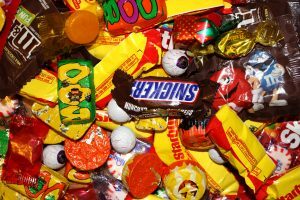 We all want to fight the mountain of trash that collects after events and holidays but how do we scare off the goulash leftovers of Halloween? This one is easy. 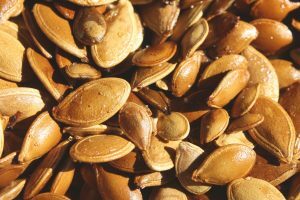 The biodegradable pumpkin can be repurposed many ways, starting with the seeds. Try baking those. Other delicious treats include pumpkin bread or butter; pumpkin beer or even pumpkin pickles and chips. Check out these delicious recipes here. Once carved, the jack-o-lantern can be used as compost. Tis the season for an abundance of candy. It would be ideal if we could just throw it in the recycling bin – but don’t. These little wrappers pack a big punch. They are made with mix of materials, including plastic and aluminum, which are too expensive and difficult to separate. Tossing these culprits in your recycle bin contaminates the rest of the items, as it is also hard to weed out small trash from large amounts of recyclables. Create your own recycling by using the wrappers for art work or something else. Recycling comes before the big night. 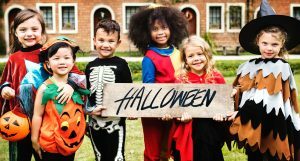 Start the basics of your costume with things already in your house or closet. That way, you can just put them back into rotation where ever needed. Raid your own closet, save your budget and the landfill with being creative. 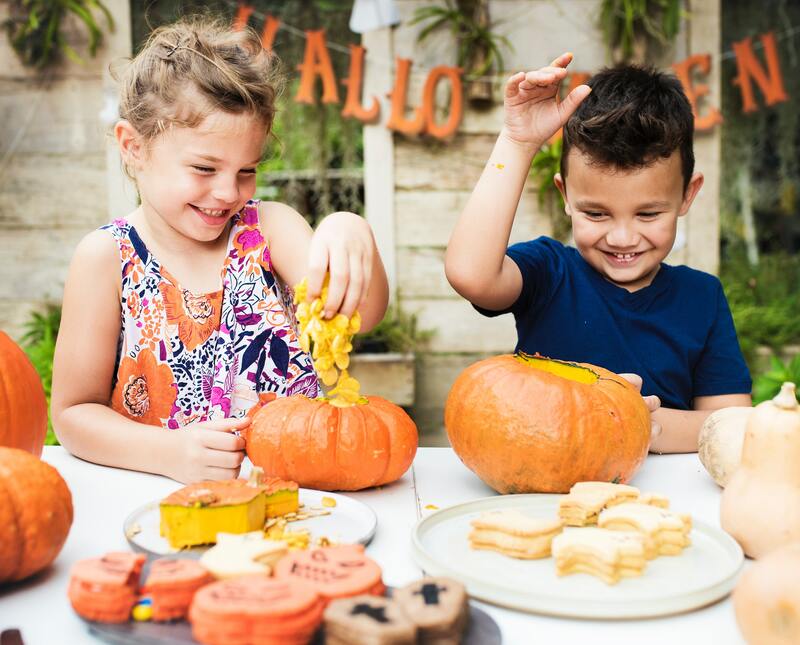 Check out these costume hacks for ideas. The better question here is what not to recycle. 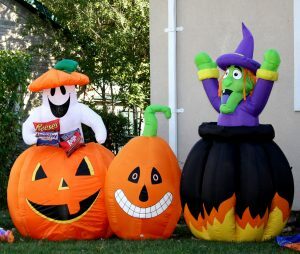 Yard decorations are typically made of nylon, which help keep your ghosts and goblins upright and spooky but it is hard to recycle. If your yard decorations are worn out or broken, you can throw them in the trash. However, check with Recycle Nation to see if you can take the fan or other electrical components to a facility near you.